Skye Gravestones | Peter & Peggy (Macphie) Macleod. 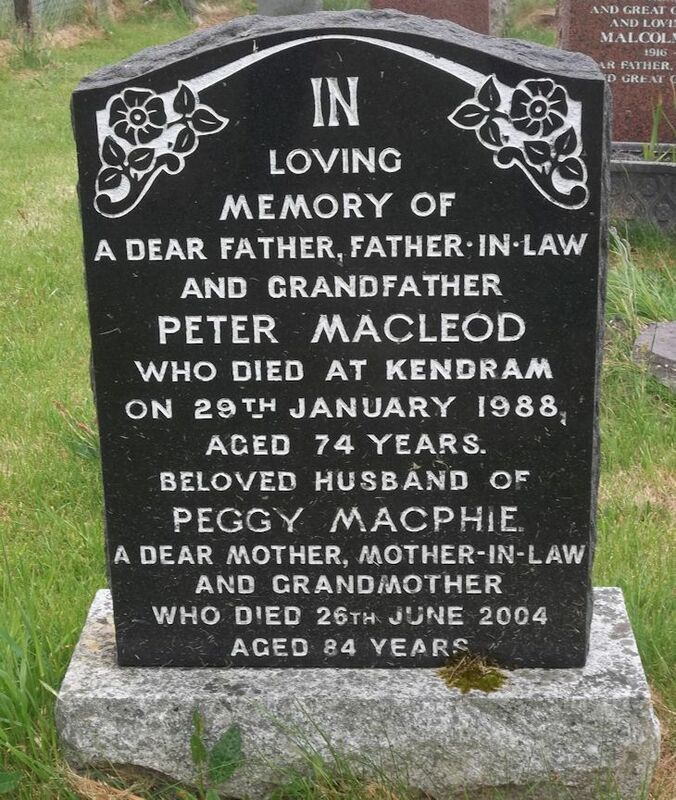 Peter & Peggy (Macphie) Macleod. In/loving/memory of/a dear father, father-in-law/and grandfather/PETER MACLEOD/who died at Kendram/on 29th January 1988/aged 74 years/beloved husband of/PEGGY MACPHIE/a dear mother, mother-in-law/and grandmother/who died 26th June 2004/aged 84 years.